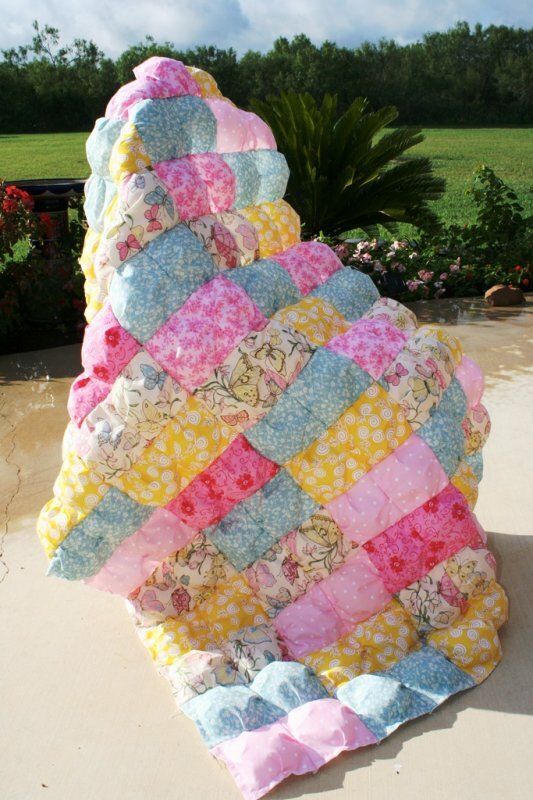 "The Puff Quilt makes a great gift and a beautiful bedspread. This method, which is all machine sewn, is extremely easy to make - even for a beginner, but just enough work to make a true gift. 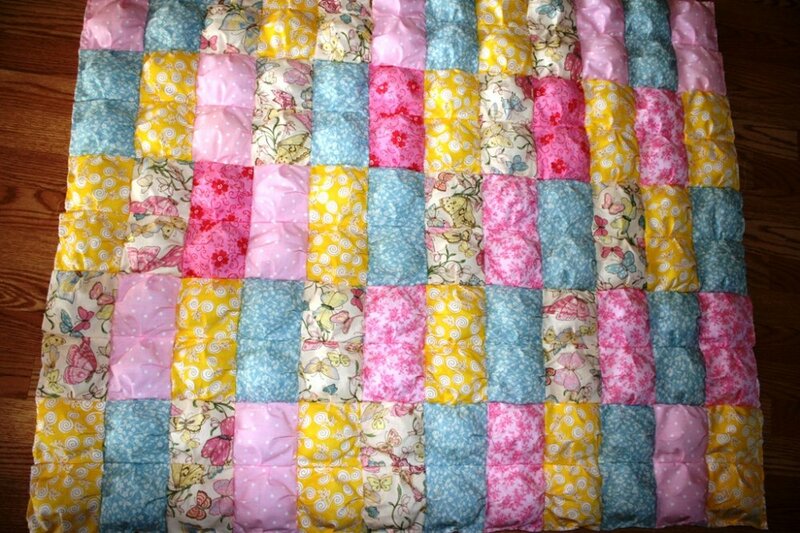 It is very forgiving and imperfect seams don't matter as much as with other quilts. It has tucks in the sides on purpose!! How easy is that!!!? You can use scraps or you can buy fabric in the colors you want. Although I've sewn mine in sets of two, you don't need to do that."